Working heritage railway, open every Sunday, offering steam train rides popular with families and rail enthusiasts. Adjacent Heritage Railway Museum details a fascinating history. Opened in 1986, the Silver Stream Railway in Upper Hutt is a must for anybody interested in the trains of yesteryear. 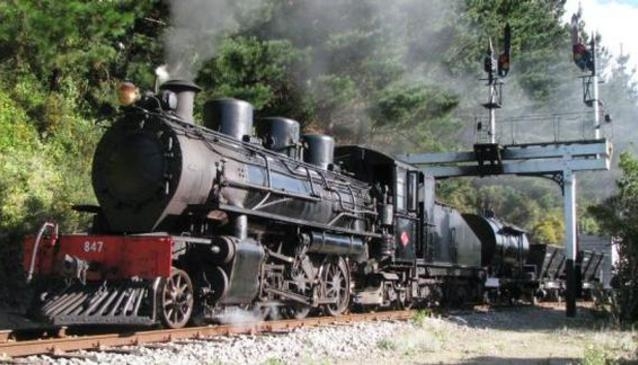 Operating fully-restored steam locomotives, plus diesel engines and rail cars, the railway will take you on a 1.5km journey into the past, along part of the original Hutt Valley Line, which was a vital transport artery of the Wairarapa Line before a replacement line was built in 1954. Get a real feel for what it was like to ride in these wonderful vehicles, and leave the modern world behind - the sheer romance of travelling by steam evoking images of a bygone era, and a vivid reminder of just what a crucial industrial development the railways were. The trains are a mix of original, restored New Zealand Railways and industrial locomotives, and the onsite museum contains a fascinating history of the area's railway story, as well as some impressive rolling stock. In total, there are ten steam locomotives, six diesel engines, one electric train and a steam crane, plus other rolling stock undergoing restoration. The railway is constantly seeking to renovate and restore classic locomotives and welcomes donations which go towards maintaining existing stock, and rehabilitating other vehicles. The railway also holds special theme days, where some other classic locomotives are given day out on the vintage track. There are many engines to see, so check the website to see if your favourites are due a run out! For that special occasion, there's a beautiful wooden carriage available for hire, which is fantastic for hosting children's parties, or a romantic anniversary, and your VIP guest can even arrange to ride on the train up front in the driver's cab - a train buff's dream! Corporate groups can arrange their own train ride, as well as private tours of the museum and the other locomotives.